It's pretty common that the person looking for anger problems help isn't the person with the problem. Most people who need help with their anger don't realize it (been there), or deny it (done that too), or both. If you've landed on this article searching for anger problems help you're most likely either: 1) the partner of, or someone who cares about, a person who gets angry; or 2) the person who gets angry. Your perspective is important to recognize because it will influence how you interpret the rest of this article. It's common for people to deny there's a problem with their behavior, even when there is clear evidence of it. This can be especially true when it comes to managing anger. Emotions can be easily blamed on other people and things. We've all heard this before, "you made me feel..."
Help With What Anger Problems? Often getting angry feels appropriate, justified, and someone else's fault. "You made me angry" is a frequent response and belief. It is also a sign that you may have anger problems needing help. The meme in this quick test for anger management is one of my favorites. The belief that other people are making us mad is one of the simplest signs that we've got a problem. Here's the story of a guy who needs help with his anger problems, but won't admit it. So his wife is the one looking for help in dealing with the ramifications of his moody behavior. I have to give this guy credit for at least acknowledging he gets angry - a lot of men won't even do that. But unfortunately he won't admit he has an anger problem requiring help and believes his feelings are justified. "If the kids would just...then I wouldn't get angry." A man in one of our anger management classes this week was saying the exact same thing about his girlfriend: "If she didn't...then I wouldn't be angry." The problem was her reaction to him, not his response toward her. The person who loves the one who gets angry sees it. But the individual who's angry most often doesn't. Sometimes this is intentional and other times it's not. Recognizing and admitting you've got anger issues requires acknowledging something negative, bad, and often shameful about yourself. This can be hard to do for just about anyone. Acknowledging we have a problem is tough, especially since it means beginning to accept the hurt we have inflicted on others. Not wanting to see the hurt we've caused in the eyes of those we love is a big obstacle to admitting it, yet it's also an important key to finding the motivation to change. It's not uncommon that both partners need anger problems help. 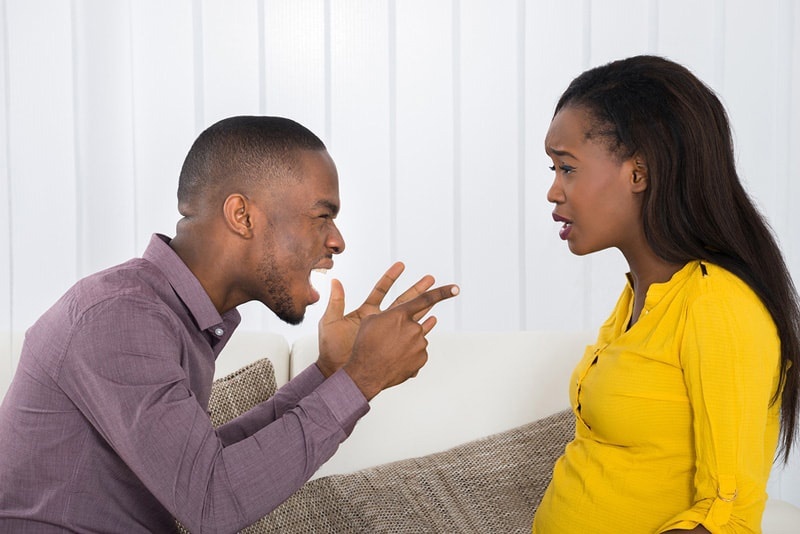 While Terrance got himself to the place where he was willing to "own my dirt," he's still in a relationship where getting angry seems justified (for her too). Their relationship is a good example of how complicated relationship problems can be and anger is often just one piece of it. What Terrance and his partner need to do is step away from believing their emotion is justified by the behavior of the other and is the other's fault. Blaming and excuse making are huge barriers to changing behavior. Unfortunately, many partners cannot take feedback from their partner. Instead of it being heard as helpful information, it's taken as an attack. This can partly be due to the way the message is delivered, as well as the circumstances in which it's said. However, most often it's just because of the position of the person delivering the message - it's their partner. It often takes an unbiased, authority figure, like a professional counselor, telling them that their anger is out of control and they need help for the message to be heard and taken to heart. Hopefully you can relate to someone in this article. Regardless of which side you're on, the receiving or inflicting end (or both), anger problems help begins with recognizing and admitting you have a problem. Editor's Note: This post was originally published August 25, 2016 and has been updated with new information for accuracy and comprehensiveness.